she is both beautiful and elegant. Great illustration. Your style is beautiful. Very elegant! does full justice to the title. Oh I really like the pose you used on this... she is definitely poised! So classy! 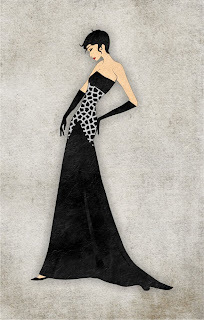 So 1920s and elegantly beautiful! Great texture on the dress. What a very beautiful pose with a very attractive dress. Awesome!! !